Whether you’re commuting or pushing your board to catch class, Hesh 2 provides a premium music experience. Housed in a sleek design with simplified aesthetic, it proves that even the rebellious evolve. An innovative upgrade from its iconic predecessor, Hesh 2 is built for everyday. The headphone’s soft leather touch ear cushions provide endless comfort for your longest playlists. The flexible headband features a metal understructure that can withstand the punishment of everyday use. Hesh 2 has a detachable cable for easy storage. Minimize cable tangle and increase longevity. The clean and iconic design of the ear cups provide a great surface for multiple colors and patterns. From animal prints to subdued colors, the Hesh 2 can fit your style. 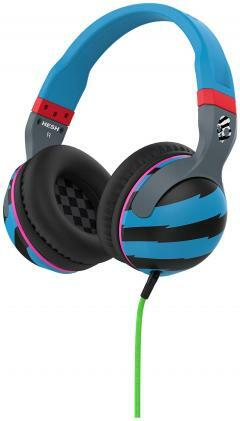 Designed to be sleek and simple Hesh 2 features oversized cans that drive even more powerful sound.